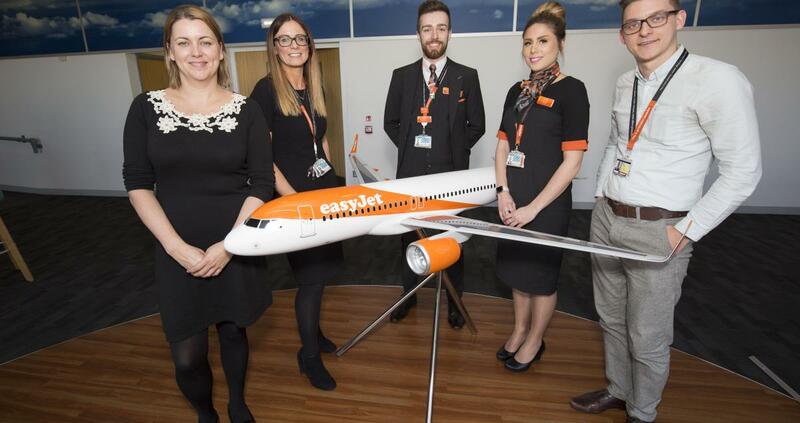 LUTON, England, 2018-Jul-12 — /Travel PR News/ — easyJet has appointed the first cohort to its new cabin crew apprenticeship scheme – the first of its type under the new government apprenticeship standards. Twenty five new cabin crew apprentices will go through a 12 month training programme commencing this September at easyJet’s training academy at London Gatwick Airport. After completing their initial cabin crew training, the apprentices will receive further on the job coaching and development including regular progress checks with their training coach. Once they become cabin crew they will fly from London Gatwick to over 100 destinations across Europe, helping to serve the more than 18 million easyJet customers who fly to and from the airport each year. Prospective candidates for future cabin crew apprenticeship openings at the airline can register interest via Talented@easyjet.com. “We are very pleased to offer this new cabin crew apprenticeship. It will give the recruits the opportunity to earn an industry recognised qualification, as well as gain their easyJet cabin crew wings. “We need to inspire the next generation to pursue rewarding careers in aviation like cabin crew, air traffic control and engineering. The new cabin crew apprenticeship scheme complements easyJet’s already comprehensive cabin crew training programme on all aspects of air safety and customer service. The apprentices will receive a Government accredited apprenticeship qualification. easyJet’s new cabin crew apprenticeship scheme complements the airlines well-established engineering apprenticeship scheme is open for 2018 applications until 15 July. In November 2017, following a record number of applications, easyJet welcomed 14 aeronautical engineering apprentices who are currently completing 26 months of on classroom and on the job training. easyJet has also just closed applications for a new Operational control centre apprenticeship programme. Successful candidates will join the airline in October 2018 to learn the different disciplines of the Operational control centre alongside earning a Level 3 Aviation Ground Operations Specialist qualification. This entry was posted in Airlines, Travel, Travel Education & Courses, Travelers and tagged airline, apprenticeships, Baroness Sugg, easyJet, Government apprenticeship standards, Tina Milton, training_programme, UK. Bookmark the permalink.